Gadgets Page » What Heart Rate Monitor Would I Buy? 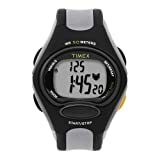 What Heart Rate Monitor Would I Buy? Starling Fitness Â» Ask Laura: What Heart Rate Monitor Would I Buy? I have come to depend on my heart rate monitor as much as my treadmill. I need it to tell me when Iâ€™m working too hard, since I tend to over-do exercising. Since I love the one that I have right now so much, I would probably buy the same thing all over again.